Healing is still needed and America’s racial wounds are still raw, according to the 50-year update released Tuesday by the Eisenhower Foundation as part of its ongoing follow-up to the original report of the National Advisory Commission on Civil Disorders, commonly known as the Kerner Commission. Former U.S. Sen. Fred Harris of Oklahoma, a co-editor of the new report and last surviving member of the original commission, said of the new findings: “Racial and ethnic inequality is growing worse. We’re resegregating our housing and schools again.” He also said poverty and income inequality have worsened since the original study, commissioned by President Lyndon Johnson in response to civil unrest in numerous American cities in the 1960s. The new report says the percentage of people living in deep poverty — less than half of the federal poverty level — has increased since 1975. About 46 percent of people living in poverty in 2016 were classified as living in deep poverty — 16 percentage points higher than in 1975. The full report is in a 488-page book, Healing Our Divided Society: Investing in America Fifty Years After the Kerner Report, which was published this week by Temple University Press. 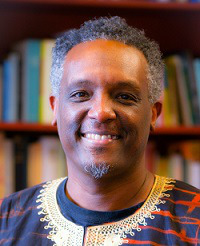 Dr. Greg Carr, associate professor of Africana Studies and chair of the Department of Afro-American Studies at Howard University, said the core issue is being overlooked. Carr suggested the biggest change since 1968 has been the global shift in the labor market, which has left fewer employment opportunities for Black and Brown people. That problem was identified on the report, which calls for more job-training programs in an era of automation and emerging technologies. In the area of housing, 30 years after the Fair Housing Act of 1968 passed, Black home ownership rose by almost 6 percentage points. But those gains were wiped out from 2000 to 2015, when Black home ownership fell 6 percentage points largely due to the devastating effect of the subprime mortgage lending crisis on African-American families. Similarly, in education, progress that was made in the past also has been reversed. Gains to end school segregation were reversed because of a lack of oversight from the courts and because of housing discrimination, according to the report. School districts were allowed to move away from desegregation plans, and housing discrimination forced Black and Latino families to move into largely minority neighborhoods. As a result, in 1988, about 44 percent of Black students went to majority-White schools nationally. Today only 20 percent of Black students attend schools that are majority-White, the report stated. The report calls on the federal government and states to push for more spending on early childhood education and a $15 minimum wage by 2024. Carr said those remedies may help, but he believes other solutions will be devised by local leaders who are looking at global initiatives and partnerships for their communities. “My hope lies at the local level,” he said, citing young Black leaders who recently have been elected throughout the country in cities such Birmingham, Ala., and Jackson, Miss. The authors of the report state in the introduction that it was written “with the hope that the issues of racism and poverty, income inequality, jobs, wages, education, housing, health, women’s and children’s rights and police-community relations can be put back on the public agenda…” and that a broad coalition can be mobilized for action.